I’m always impressed by the creativity of artists who work across different mediums. Here, photographer Stephen Orlando expresses the sound of music through light, colour and movement, capturing the effects in these stunning rainbow images. A relative motion between the performer and camera must exist for the light trails to move through the frame. I found it easier to move the camera instead of the performer. The LEDs are programmed to change color to convey a sense of time. 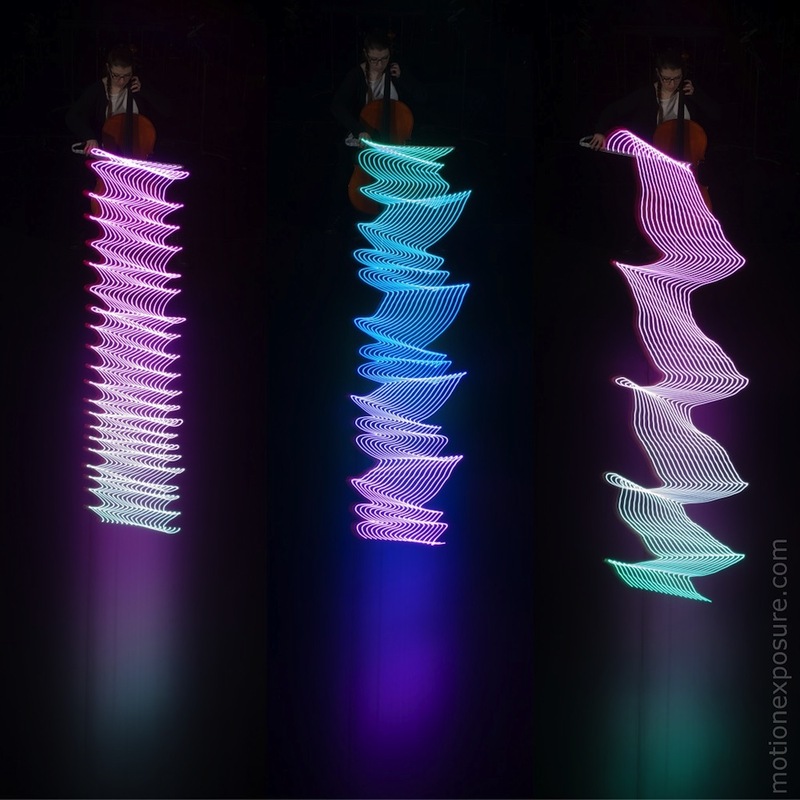 The progression of time is from left to right in the viola and violin photos and from top to bottom in the cello photos. Each photo is a single exposure and the light trails have not been manipulated in post processing. See more of these rainbow light works on Orlando’s Instagram and Facebook.